DETROIT (Hoodline) – Cheeseburgers are among America’s most popular culinary offerings. And even though delicious cheeseburgers don’t need their own day of recognition, they have one. That’s right: National Cheeseburger Day is on September 18 – just around the corner. In honor of National Cheeseburger Day, Hoodline crunched the numbers to find the top options for burgers around Detroit, using both Yelp data and our own secret sauce to produce a ranked list of the city’s best cheeseburger joints. There’s no better excuse to indulge. Topping the list is Mercury Burger Bar. 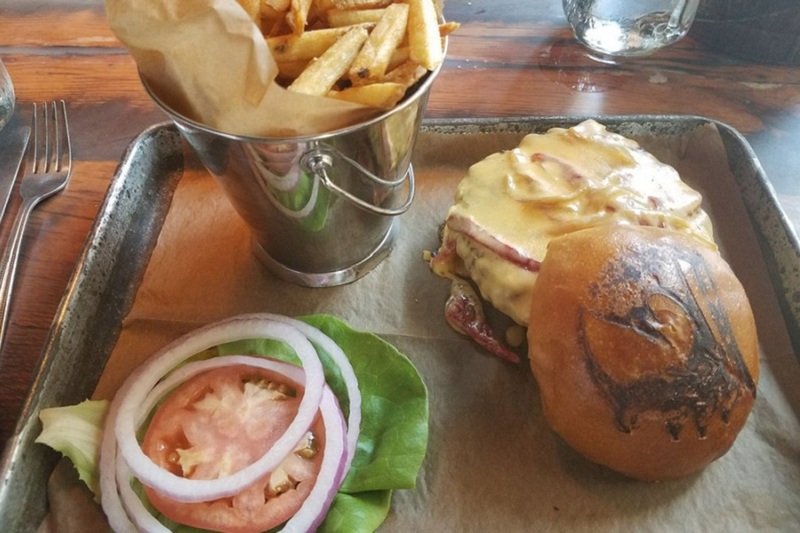 Located at 2163 Michigan Ave. in Corktown, it’s the highest-rated spot for cheeseburgers in Detroit, boasting four stars out of 648 reviews on Yelp. 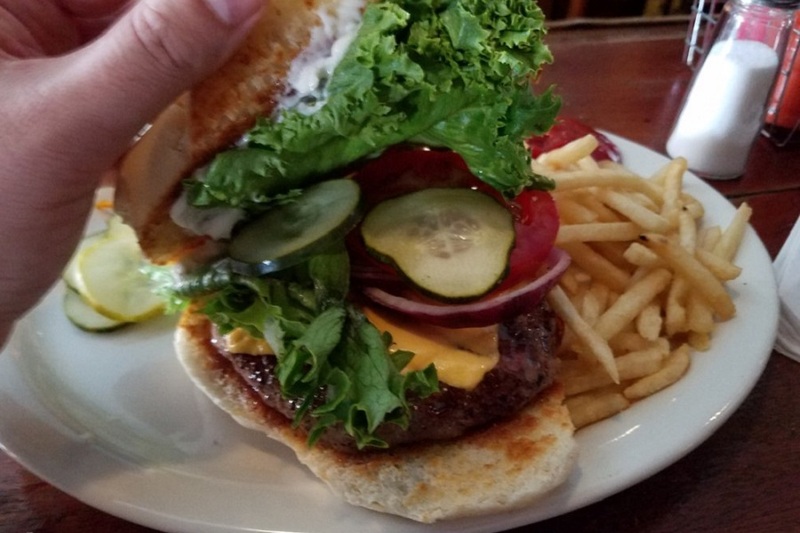 Next up is Midtown’s Honest John’s Bar & Grill, situated at 488 Selden St. With four stars out of 365 reviews on Yelp, the pub has proven to be a local favorite, offering burgers, brunch and Wednesday trivia nights. 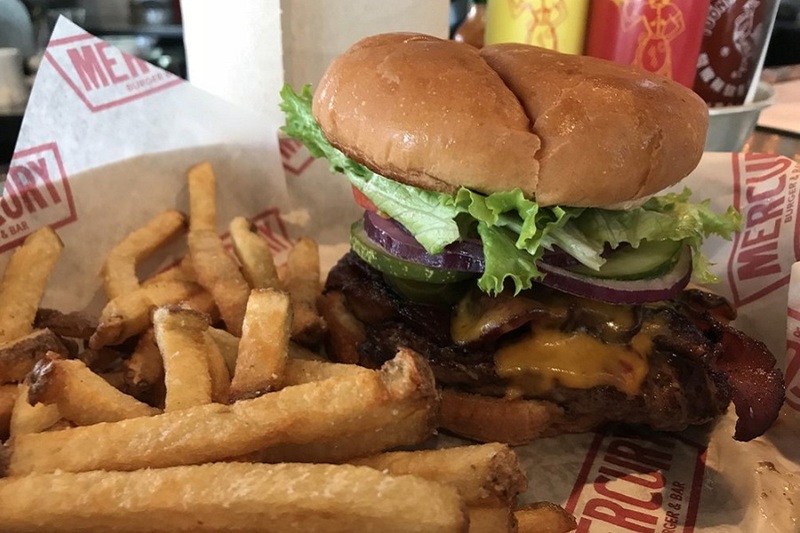 If you’re there to grab a burger, you’ll find options like the BBQ Bacon & Cheddar with pickled onions and the Patty Melt with Swiss cheese and sautéed onions on grilled rye. The menu also includes sandwiches, chicken, seafood and breakfast fare. 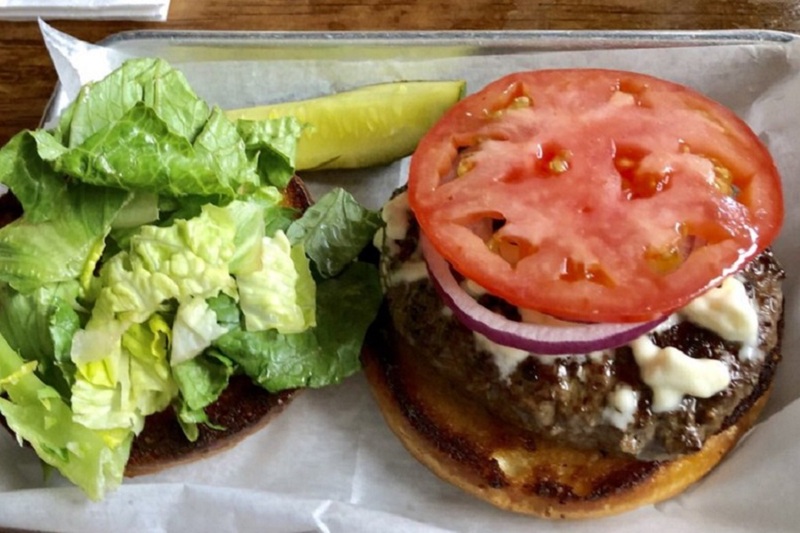 Midtown’s Royale with Cheese, located at 4163 Cass Ave., is another top choice, with Yelpers giving the spot for burgers and hand-spun shakes four stars out of 363 reviews. With a name inspired by the 1994 Quentin Tarantino movie “Pulp Fiction,” the eatery features a mural of the main characters and other nods to the film. 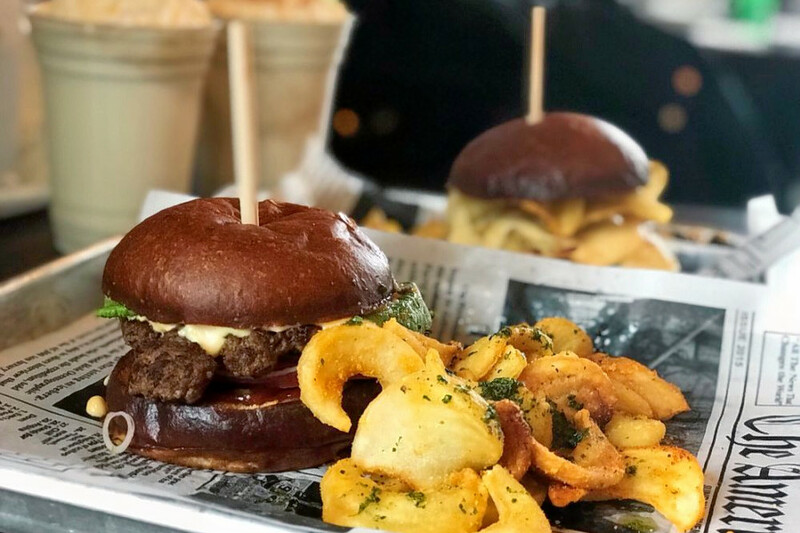 Rusted Crow Detroit, a pub that offers burgers and sandwiches downtown, is another go-to, with four stars out of 259 Yelp reviews. Head over to 78 W. Adams Ave. to try it for yourself. Finally, over in Midtown, check out The Bronx Bar, which has earned four stars out of 234 reviews on Yelp. You can find the dive bar, with a menu of burgers and sandwiches, at 4476 Second Ave. When it comes to cheeseburgers, look for the Blackout with onions, tomatoes, lettuce, mayo and pickles with choice of cheese; and the Eye Contact – a turkey burger with avocado, tomatoes, lettuce, mayo, pickles and cheese. Pair your cheeseburger with some fries, onion rings or even deep-fried pickle spears.